Coffee is my new best friend. No really, seriously. If I’m feeling sad, it cheers me up. If I’m feeling angry, it makes me smile. If I’m feeling lonely, it gives me comfort. Coffee rocks! In the summer, it cools you off when you drink it iced or better yet as a Frappuccino. In the winter, it warms you up as you stand outside at the bus stop. I don’t know how I ever thought I could live without it. When I worked at Calvin Klein, many years ago (feels like a lifetime ago), I used to drink LOTS and LOTS of coffee. Maybe it was working in NYC or maybe it was the personal coffee maker in the back room where you could make your own personalized, fresh cup of coffee any time of the day or maybe it was the very late nights. Whatever the reason, coffee was definitely my friend back then. Once I moved back here and started my family, I drank less of it. I had to. When I was pregnant, I couldn’t drink too much caffeine so I started drinking decaf. Then, the migraines came. So I kept up with the decaf, vowing never to go back to caffeine again as those migraines are horrible! But now, I’m back here again. Drinking many cups throughout the day and let me tell you, I don’t plan on stopping. If those migraines return, I’ll have to suffer through them because coffee is now a necessity in life! As many of you know, my favorite is flavored coffee. However, it is difficult to find organic flavored coffee so I drink my husband’s regular organic coffee, without any flavor. That is until today. 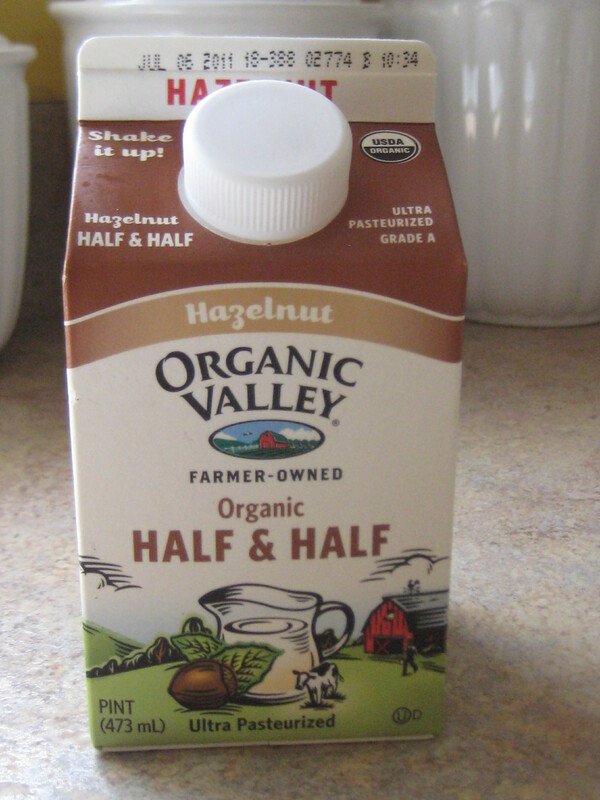 Yesterday, my sweet husband brought home this organic half and half, hazelnut flavor and it is great! So, bring on the coffee! I am ADDICTED to flavored coffees, but they can be so expensive! I have gotten into the habit of simply adding my flavors myself, which another friend got me into. I will add ground cinnamon to the coffee beans during grinding OR into the grounds if I get the canned stuff (or ground it myself at Trader Joe’s). If I get whole beans, I have used a little vanilla extract, tossed it with the beans, let them dry on the baking pan, then ground them – delicious! I have added coco to the coffee grounds as well to give me mocha; I even do peppermint oil during the winter for peppermint mocha coffee (Dunkin Donuts gave me the idea). The options are endless, I love trying new flavors! I couldn’t get through work without my daily cup of joe! I too am addicted to coffee and only like flavored coffee, hazelnut being my favorite. I’m trying to cut back and it hasn’t been as hard as I thought but one things for sure I will not give it up entirely! Oh and Mike’s comment made me laugh out loud! Lauren, those are some great ideas. I, too, love coffee. There is something magical about that first sip in the morning. I started becoming obsessed with coffee when my father was dying of cancer and was up at Yale. My mom and sister were both sick with colds and couldn’t go see him so I would come home from my job in Stamford, pop home to see the kids and husband and would then run up to Yale to see my dad. On the way, I would stop at Dunkin Donuts. 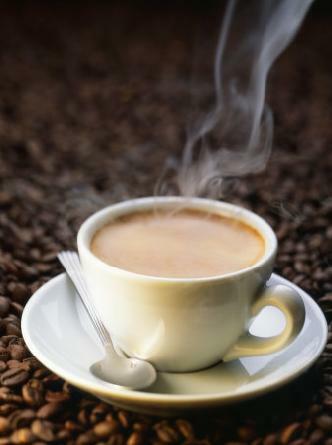 I needed that coffee – it was my friend to comfort me and to warm me up. I could drink it quietly without having to talk to anyone. It was , and is, a special ritual. To this day, I turn to coffee when I am stressed or feeling blue. I use my special mug given to me by one of my best friends. Liz, I love your site and am so happy that I came across it. Please know that we think of you often.